Yunnan is a relatively undeveloped rural area, isolated and autonomous for large parts of its history and was not brought fully under China’s central control until as late as the 20th century. botanically this is possibly the richest of the world's temperate regions Because of its historical remoteness from central rule, urban development and industry lag behind the coastal areas of China, even today, although it is rapidly doing its best to catch up. Much of the province lies within the subtropical highland or humid subtropical zone, with mild to warm winters and long temperate summers. The exception is the almost tropical south, where temperatures regularly exceed 30°C during the warmer half of the year. The terrain is largely mountainous, especially in the north and west, but this high mountainous wall is a benefit to insect life, as the great plateau of Tibet and the Himalayas act as a barrier to trap the moisture of the Monsoon winds in Yunnan province during the long hot summer. This helps to give the flora a lushness found nowhere else in China. The province’s geography is varied and dramatic, and Yunnan boasts unique geographical attractions relatively unexplored by international travellers, such as the Stone Forest at Kunming, the volcanic hot springs at Tengchong and the Jade Dragon Snow Mountain near Lijiang – the southernmost glacier in the northern hemisphere. thought to have as much flowering plant diversity as the rest of the northern hemisphere put together Yunnan’s topographic variety combines with its tropical moisture to sustain an extremely strong biodiverse habitat producing high degrees of endemism: botanically this is possibly the richest of the world’s temperate regions. In fact, Yunnan is thought to have as much flowering plant diversity as the rest of the northern hemisphere put together. And whilst Yunnan Province has less than 4% of the land mass of China, it contains about half of country’s bird and mammal species, and is home to spectacular wildlife including Golden Monkeys, Tigers, Asian Elephants, Black-Necked Cranes, Snow Leopards and Tibetan Bears. Yunnan has plenty of rainfall, rivers and lakes, and it is a sobering thought to observe that Yunnan’s four huge rivers — the Yangtze, Irrawaddy, Salween and Mekong — supply approximately one in 10 people on Earth with food, water, transportation and trade. There are vast river gorges in the north twice the width of the Grand Canyon. Throughout much of the year southern Yunnan has high temperatures and long daylight hours, so all the conditions are in place for plants and insects to have extended seasons: insects produce several generations and grow to enormous proportions. Yunnan Province has several national parks including the notable UNESCO world heritage site the Three Parallel Rivers National Park. This park is near the boundaries of the East Asian, South-East Asian and Tibetan biogeographic realms, and acts as a corridor where several species from each realm meet and reach the limits of their distribution. Yunnan’s mix of tropical, subtropical, temperate and frigid zones makes it possible for plants of different species to mix, grow and propagate. Yunnan has more than 17,000 species of higher plant, which is more than half of the total species in China Yunnan has more than 17,000 species of higher plant, which is more than half of the total species in China, and 8 genera of the most primeval seed plants, which amounts to 2/3 of the total in the world. Scientific papers report new discoveries every year, and within the province itself there are many isolated undisturbed pockets yet to be fully explored or well documented. One example of such an ecological pocket is Xishuangbanna, a transition region from the Asian continent to the Indo-Chinese peninsula. Xishuangbanna is notable in that, while such regions at the same latitude in West Asia, Middle Asia and North Africa are now almost all deserts, this area is still tropical rainforest. In this extremely isolated area, which makes up only 1/500 that of China, 5,000 species of seed plants and Pteridophyte grow, which accounts for 1/6 of the total in China, and 1/3 in Yunnan. This includes 58 plant species that are rare or endangered and are under Chinese state protection; Xishuangbanna is the only tropical rain forest nature reserve in China. Banyan Tree overgrowing an old monument. As you research Yunnan you come across many tales of other marvels here from the Kingdom of the Plants. 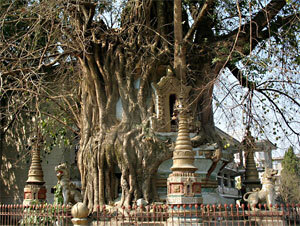 A regal 400-year-old Chinese Banyan tree in Tongbiguan that is said to be the grandest old tree in all of China. 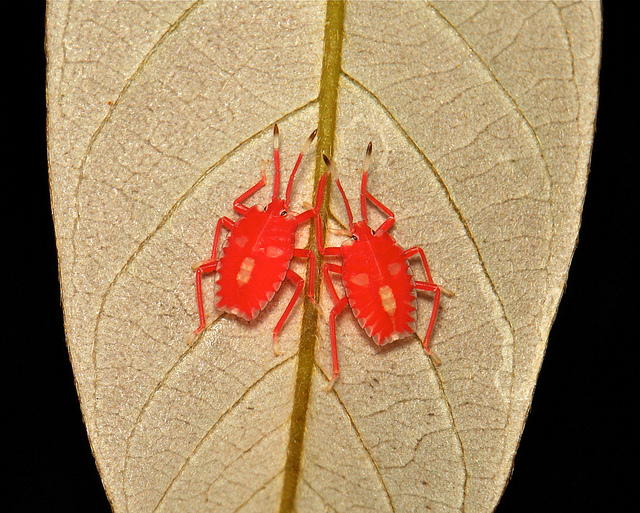 The hidden presence of Antiaris toxicaria in the tropical rainforests, a killer toxin used by the local tribes on arrowheads to kill wild animals. Primeval Spiny Tree Ferns, one of the oldest plants on earth. Ancient Southeast Dracaena groves, each individual tree with a 6,000-year lifespan. Precious Chinese Yew, a plant with a high concentration of Pacilitaxel, a cancer medicine. The price of this reaches US$10 million per kg: the most expensive medical plant on earth. Cannabis grows wild in the province, and its southern border straddles the botanically infamous growing area that is the Golden Triangle. Yunnan boasts the origin of the plant used to make Tea, 35 of the world’s 80 Camelia species, 530 of the world’s 1600 Orchid species, 600 of the world’s 800 Azalia species and 158 of the world’s 500 Primrose species. If these sound familiar to Western gardeners, it is because many of the Victorian explorers such as George Forrest who travelled the world searching for new and interesting plants to flower in our gardens came through Yunnan on their pioneering seed-collecting expeditions. This is an extraordinary part of the world. Pulsating to the same pace of progress as rest of China, Yunnan Province eagerly embraces the tourist coin, and even the most remote rural communities are rapidly opening up their borders to welcome in tourism with open arms. Yunnan is also culturally fascinating, containing no less than 26 of the 55 ethnic minorities officially recognised by the Chinese Government In addition to the abundant wildlife and the dramatic geography, Yunnan is also culturally fascinating, containing no less than 26 of the 55 ethnic minorities officially recognised by the Chinese Government. The distinctive and relatively isolated traditions of these 26 ethnic groups differ markedly from those of the rest of China’s dominant Han culture, and Yunnan is one of the last great areas to open up for the traveller – both domestic and international – who wants to go off the beaten track to experience the extraordinary. Photographs of Yunnan villages and communities, the mix of appearance, dress, food, architecture and way of life, make for unforgettable scenes. One example of a fascinating local culture is the Mosuo people, China’s last practising matriarchal society. The Mosuo reside on the border with Tibet and number approximately 50,000 souls. Mosuo children retain their mother’s name and live under the matriarchal roof; women are often the head of the house, inheritance is through the female line, and women make the business decisions. Mosuo families tend to trace their lineage through the female side of the family. Their men stay over but ultimately return to live and work in their mother’s household. Men work and talk. Women run the place. My wife approves. 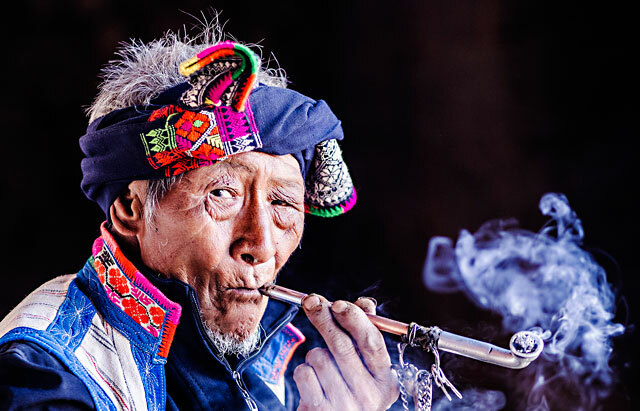 Ancient sage photographed in a remote Yunnan village. Photographs of Yunnan villages and communities, the mix of appearance, dress, food, architecture and way of life, make for unforgettable scenes. It is not remotely surprising that Yunnan’s relatively undisturbed beauty has made it a popular getaway holiday destination for China’s coastal urban masses. Non-domestic tourism is also on the increase and China’s official media outlets bleat out the ever-rising tourist numbers with all the tic-toc-tic accounting charisma of a Soviet five-year-plan. In 1979, Yunnan hosted 13,400 international visitors for a foreign currency earning US$830,000. In 1994, Yunnan attracted 520,000 international visitors earning US$124 million. And by 2010, Yunnan earned a whopping US$1.32 billion in tourism revenue. So on the muddy unmapped tracks where only hikers, horses and mules plodded before, modern highway infrastructure is now pushed forward for development by local and provincial government, eager to propel the legions of Renminbi-spending tourists forward. Yet during the same period of tourist growth, ancient forest land the size of a small country has been logged and destroyed forever, tropical rainforest cover in southern Yunnan has decreased 67 percent during the last century and Yunnan’s ethnic communities are rapidly changing centuries-old land use traditions towards more tempting prosperous modern economic activity. The tragic fact for China’s ecological future is that tropical rainforest cover in southern Yunnan has decreased 67 percent during the last century, mostly due to agricultural expansion and timber harvest to feed factories elsewhere in China. But, according to John Zinda, since the new century, there has been substantial growth in tree cover, part of which is due to abandonment of marginal farmland, and part of which is new orchards and plantations. John Zinda, a postdoctoral researcher at Brown University, has spent half a decade researching tourism and conservation in northwest Yunnan, living and working with residents of mostly Tibetan villages in Yunnan’s national parks. In one, Meili Snow Mountain, residents give tourists mule rides to scenic places around the sacred peak Kawagebo. In Pudacuo National Park, by contrast, community-run tourism has been replaced with a set of tarmac roads and tour bus convoys run by an outside company. “At peak season as many as 7,000 tourists a day visit Pudacuo,” notes Zinda. “Rather than run their own tourism businesses, community residents must work for the park. Their livelihoods have been transformed.” Sadly, his conclusion is that whether local villages or larger companies run nature tourism, profits are not being reinvested in active conservation management. Park managers face a tension between local governments’ drive to make money from tourism and central government conservation priorities that are often underfunded. Says John, groups such as The Nature Conservancy have also become much less active in Yunnan as government restrictions have made it harder for international NGOs to work here, though some domestic groups are taking up conservation work. 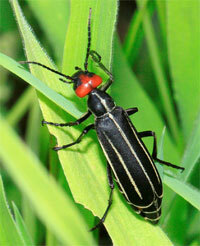 Insects play a historically important role in China, much more so than in the West. Insects are firmly seen as an economic resource, and China has a long and successful history of cultivating this resource in all sorts of ingenious ways. Silk is of course synonymous with Chinese culture, and records of silk production go back 7,000 years, with active silkworm rearing a relative youngster with a mere 5,000-year history. 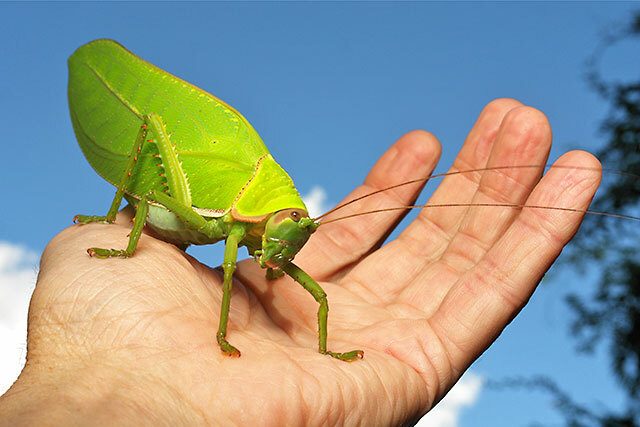 China has records of insect consumption (“Entomophagy”) from 3,200 years ago, insect pest control from 3,000 years ago, insects as medicine from the same period and insects as entertainment from more than 2,000 years ago. It is all too easy to overlook just how ancient and resourceful Chinese civilisation is. 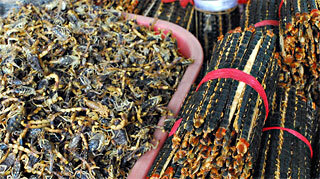 In Yunnan, insects have a medicinal and consumption role to this day. In parts of Yunnan, beetles are soaked into alcohols to cure infantile high fever. 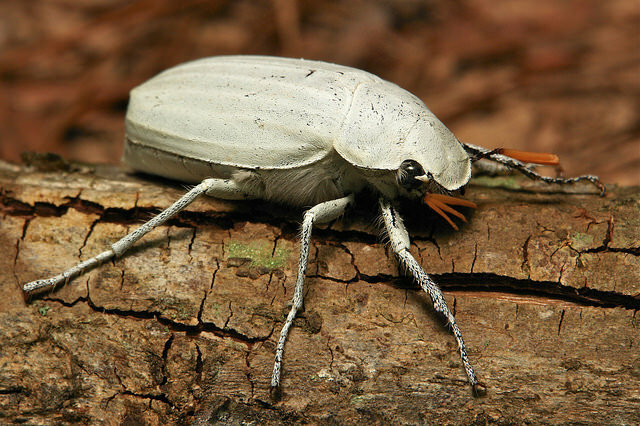 Beetles are further used for their anti-bacterial properties and to reduce inflammation; beetle saliva is even a treatment for sores. Cicadas, ants, locusts and above all Bamboo insects are for sale on local markets by weight, to be fried, boiled or roasted. Insects are in fact a sweet delicacy, appreciated by all classes of society, with a place on the table in the most prestigious of local Yunnan restaurants. Edible bamboo insect larvae from Yunnan are also exported for sale throughout China, and are an important cash generator for small rural farmers. A farmer can obtain half a kilo from each bamboo shoot worth 12-30 Renminbi (US$2-US$5). Yunnan’s Dai, Jingpo and Deang ethnic groups feast on Cicada and traditionally kindle a firebrand on the banks of river dams during warm summer nights to attract the insect. Amongst the Bulang ethnic group, the young girls traditionally beat and tread the mountain to catch Cicada on the ground or in the bush. The villagers make a sauce out of the captured insects, which acts as an anti-infammatory and detoxicant, also alleviating pain and swelling. 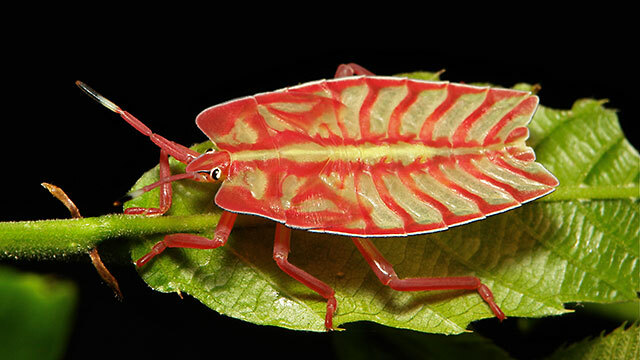 In addition to rearing silk, insects are also used industrially in Yunnan to create red lac, a colorant with an ancient tradition of domestic use in the leather industry. Cultivation traditionally begins by pruning a host tree to prepare a growth of fresh sap-filled shoots for the larvae; 6 months later farmers attach a stick containing females and eggs ready to hatch and tie it to the tree. Thousands of larvae then colonise the branches and they secrete the resinous pigment, which is in turn collected, refined and processed. Red lac maybe largely replaced by synthetic dyes nowadays, but 80% of China’s traditional lac production still comes from Yunnan. Honey is also a major cash crop for some of Yunnan’s rural communities, and gathering the honey also has its own age-old traditions. Fresh pork is used to entrap a wasp; the wasp’s leg is then tied with a line and a white chicken feather on the end to see where it flies. The wasp, which predates bees, is then released and followed, to find the honeycomb and the honey. 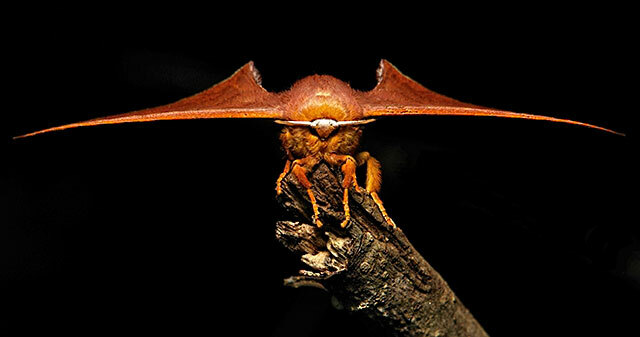 The Asian hornet (Vespa Velutina) is a predatory wasp that preys on bees, and is used in Yunnan to locate bees for their honey. It turns out that this species is now also in Europe, thought to have come over in a container of pottery, and its aggressive behaviour towards European bees is well documented. It has spread rapidly in France since 2012, and its arrival in the United Kingdom is considered imminent with a national species alert out for Vespa Velutina in 2014. Back in Asia, native bees have developed some tricks of their own, and National Geographic recently showed us footage of how the bees surround the predatory wasp in a ball, using generated heat to defend themselves. Culturally, insects have been celebrated in China for centuries and there are more than 100 traditional festivals related to insects throughout the land. For example, there is “Silkworm Day” in Sichuan, “Longcan Festival” in Zhejiang, “Sheri Festival” in Hubei, “Locust and Mantis Festival” in Guizhou Province, “Insects Delivering Day” in Jiangsu Province, “Insect Eating Festival” in Yunnan, “Double Butterfly Festival” in Yixing county and this list continues. Insects are also used as entertainment and insect singing has a more than 2,000-year history; more than 30 species of entertainment insects are sold in China’s markets, both for their sound and as fighting insects. The story that comes across then, is of an ecologically rich wilderness, rapidly developing under central control; and insects as a resource in a relatively poor rural community: a story not unlike some of the world’s other great tropical wildernesses in Asia, Africa and South America. 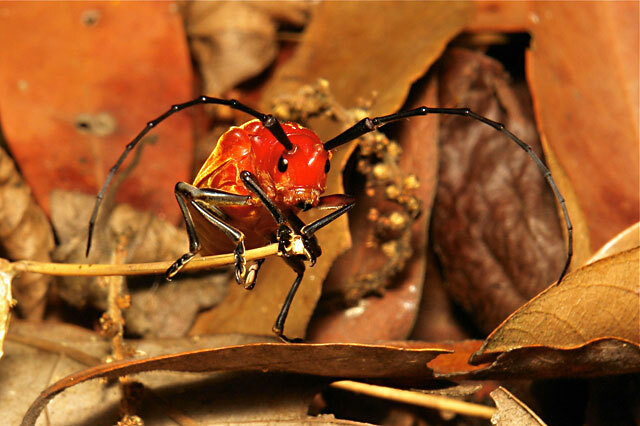 We are therefore very lucky to have John Horstman there, a self-confessed macro lover, who brings us images of the stunning insects in this extraordinary part of the world. Seated in my study here in England, it is one of the marvels of today’s world to be able to see John’s work, and I have enjoyed his Flickr stream for years. Someone who is out and about showing us amazing things, from an amazing part of the world. Can you remember how you first heard of Yunnan, and what made you down tools and move from Australia to China? My adult life has been a series of ‘pack-up and move-on’ episodes so after a month long holiday in mid-2007 in Beijing to spend time with a long-time Chinese friend who had returned there from Sydney (and during a period when Beijing was at its best in preparation for the 2008 Olympics), I got the ‘move-on’ bug and did just that in early 2008. China is not for everyone, but it struck a chord with me. After 3 1/2 years in Beijing (and the city’s evolution/de-evolution even in that time was staggering), another opportunity arose to move to Yunnan where there would be accommodation available (which, to be honest, is the most onerous of personal requirements to fulfill for a foreigner). I had only discovered my camera’s capacity to do macro work while in Beijing which had rekindled an interest in entomological subjects from my youth. I knew relatively nothing of Yunnan other than its remoteness and widely acknowledged wilderness. So I ended up in Pu’er, Yunnan without a specific purpose or intention as yet another ‘pack-up and move-on’ adventure. For all its vast population, in the west we seem to be exposed to very little Chinese macro or insect photography. Is there any appreciation of how lucky they are in comparison to the tiny size, quantity and diversity of insect life that we have in the temperate west, and is there no tradition of macro photography in China? Photography and photographic equipment in developing China is a booming industry and pastime. However, my impression is that nature/wildlife photography or even nature and wildlife in general is of very little interest to the majority of participants or, in fact, to the population at large. This is evolving of course, but the understanding or appreciation of the resident fauna is limited to agricultural communities and then in a negative sense due to economic impacts. Although Chinese people think very highly of Western culture, nations and populations, that does not extend to biodiversity. That’s not to say macrophotography in the field is non-existent, but certainly not a common practice. Strangely (or maybe not strangely), entomological interests are very strong in Taiwan. In southern China, the recognition of remaining natural resources in neighbouring Vietnam, Cambodia and Thailand as a focus for ecotourism is generating internal and external interest. Here in England, local moth groups meet to empty and record moth traps, and pass these records onto county recorders. 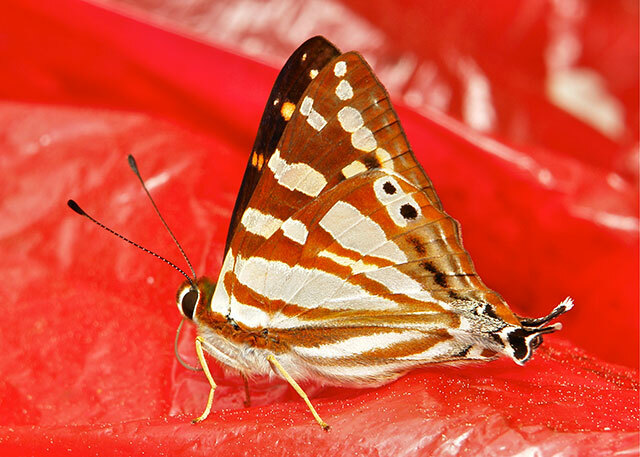 How do locals react to your light trap, and is there a similar non-professional interest in Lepidoptera as there is here? In my experience, none. I follow and contribute to international mothing groups on social media and online, and the apparent gap between UK, European or North American mothing compared to Asian tropical encounters is cavernous. Moderate populations of largely identifiable, (even with common names, and in the case of the US, numbers), probably finite moth species versus overwhelming numbers of largely unidentified and extremely variable species observed at light traps. If I photographed everything I saw, I wouldn’t cope with the volume. It is not my purpose to scientifically catalogue moth light attendees but to select those that might photograph well (I don’t collect) and hopefully arrive at the best IDs available from the images. I used to set my light trap (125W MV lamp against a white bedsheet) on my apartment balcony which was relatively successful but limited in terms of variability and numbers. the apparent gap between UK, European or North American mothing compared to Asian tropical encounters is cavernous Undoubtedly, the light was an annoyance to neighbours (Pu’er would be considered a third-tier city in China, but is rapidly transforming into a collective of high-density high-rise complexes so one’s balcony will inevitably face onto someone else’s bedroom or living room window). These days, I pack a petrol generator onto my electric bike and head out to a few sites outside of the city boundaries in the hills. For convenience and safety, I set up near roadways so there is occasional passing vehicular and motorbike traffic that slows to stare, but inevitably, some farmer or group of local lads who have been fishing or hunting nearby will emerge magically from the bush. The general reaction is one of non-comprehension of what I could possibly be doing even when the sheet is so thick with moths it is near collapse, but the novelty of meeting a foreigner is probably foremost in their minds. 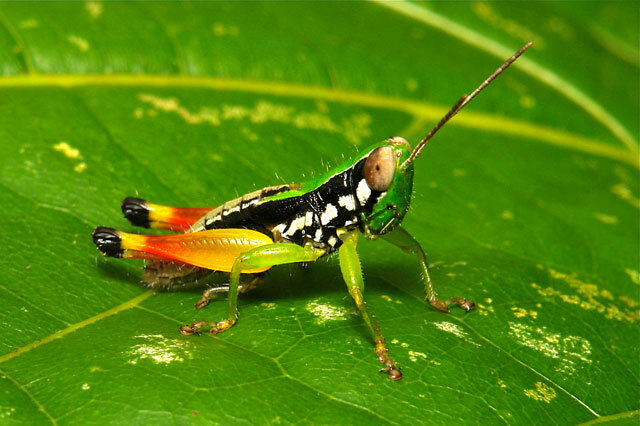 In my research for this article I have come across records of new undiscovered plant species in Yunnan, so I would expect the same for insects. Have you come across anything unidentified? Oh most certainly. Getting to genus level is generally achievable, but to species is less so. This would not just be typical of my location but for most of South-East Asia. One could argue that photographic records as opposed to collected specimens do not count as IDs anyway in many circumstances, but accessing available descriptions in English is difficult, let alone in Chinese. Even when looking at distribution maps for well-described species, the recorded sightings stop at the Chinese border due to separate recording archives and language barriers. 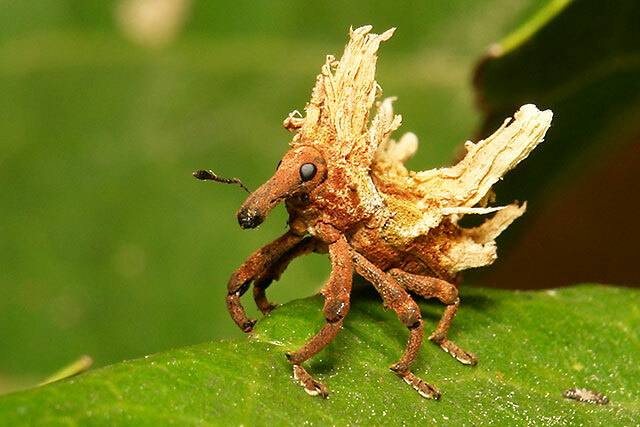 What are the strangest insects that you have come across and photographed, and why? This is easy to answer. My days out with the camera (certainly my earlier days in the region) are usually filled with ‘wow’ moments. 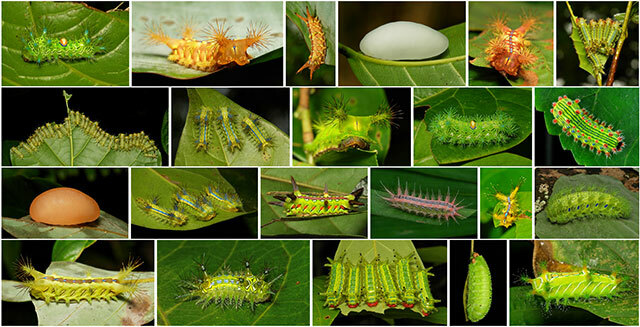 But, what has become my pride and joy, and something that seems fairly defining and unique for the locality, is the preponderance and diversity of the Limacodidae family of moths, the Cup (or Slug) Moths, and more specifically, their stinging nettle and gelatin slug caterpillars. 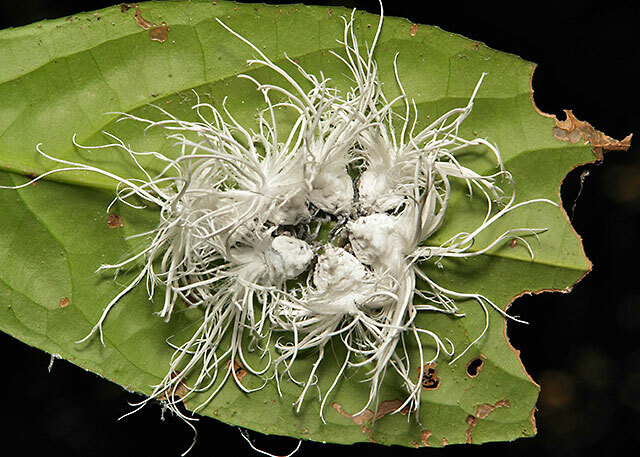 Only around 5% of Asia’s described Limacodid moth population has been linked to their larval stages. So straight away there is an air of mystery and the unknown. 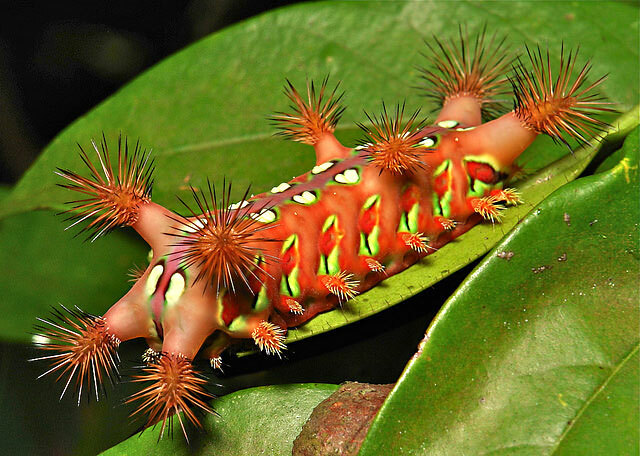 the most bizarre, garish, spectacular, utterly surprising and unexpected array of caterpillars which will leave you shaking your head in amazement and writhing in pain if you touch them Then add to that the most bizarre, garish, spectacular, utterly surprising and unexpected array of caterpillars which will leave you shaking your head in amazement and writhing in pain if you touch them, and you have a recipe for photographic addiction. They are either smooth and featureless like jelly beans or adorned with a multitude of arrays of formidable stinging spines. They may bear fake eyes, ambiguous head and tail ends, clown-like combinations of rainbow hues and a slug-like absence of legs from which they derive their generic name of slug caterpillars. I have photographed around 40 varieties to-date, the majority of which are unidentified, and which has been said to represent the largest collection of Limacodidae images from any one location in the world. 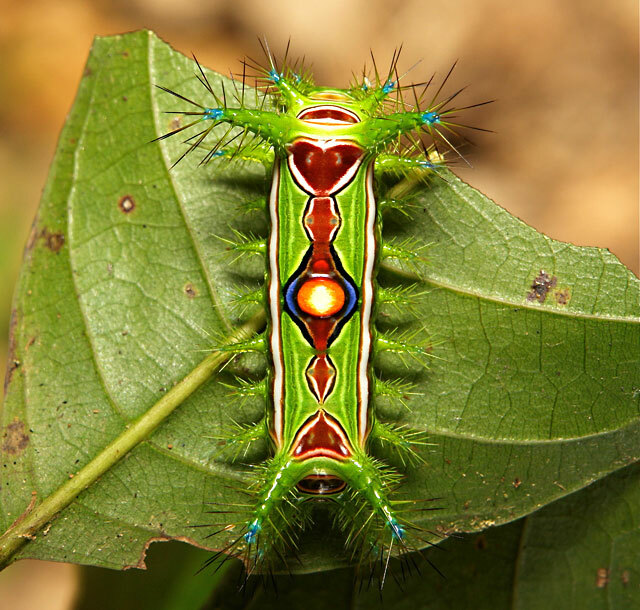 Limacodidae or Euclidae is a family of Lepidoptera (moths) in the superfamily Zygaenoidea (or Cossoidea, in dispute). They are often called slug moths because their caterpillars bear a distinct resemblance to slugs. 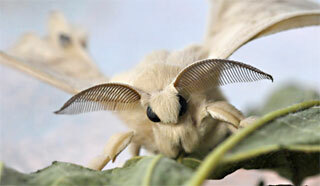 They are also called cup moths because of the shape of their cocoons. 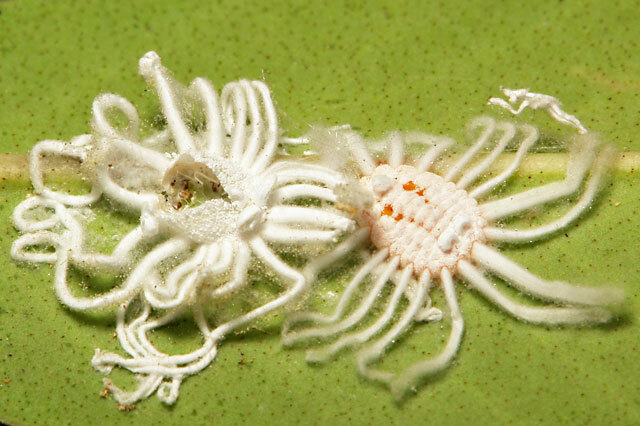 The larvae are often liberally covered in protective stinging hairs, and are mostly tropical, but occur worldwide, with about 1000 described species and probably many more as yet undescribed species. 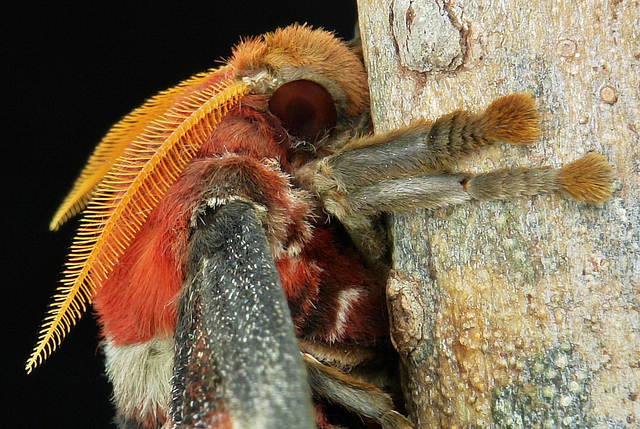 They are small, hairy moths, with reduced or absent mouthparts and fringed wings; they often perch with their abdomens sticking out at 90 degrees from the thorax and wings (view images). The sting from the larvae hairs can be quite potent, causing severe pain. What are your observations on the ground regarding the tension between development and conservation in Yunnan? I can only really talk from experience in the immediate vicinity of where I live. Pu’er is world renowned for its tea and the region marked the starting point of the Ancient Tea Horse Road. Today, it is a business centre rather than a tourist magnet. With economic growth and government policy aimed at urbanisation of the population, it has experienced exponential growth and investment primarily in terms of real estate. The city has expanded laterally and vertically and probably faster than demand as many complexes remain unoccupied years after completion. Others are government-sponsored relocation complexes, so once completed and uniformly outfitted, hundreds of apartments are fully occupied in the space of a week as whole villages of families move in as compensation for the resumption of the land they have occupied for generations. The pressure on existing infrastructure is immense. New infrastructure means constant construction and development. Pu’er is unrecognizable from the relatively sleepy city I moved to just over three years ago and those changes are ongoing. One very curious development that impacts on me and my practice of photography directly is the advent of fences. One very curious development that impacts on me and my practice of photography directly is the advent of fences A mere three years ago, I could go anywhere in Pu’er and its surrounds limited only by my endurance and the range and hill-climbing capacity of my electric bike. This was apparent even in Beijing in my early days where there was no barrier to taking a short cut across a vacant lot or climbing a hill to catch a view. Today, chain mail, barbed wire and solid brick walls are order-of-the-day as developers covert their new claims, authorities seek to protect resources such as water supplies and utilities, and private citizens adopt the Western philosophy of home being a fortress – the importance of self brought on by new-found wealth is inevitably outweighing the sense of community. Not one location that I visited for photography in my first year of residency here exists today – they have either been bulldozed, engulfed by tea plantations or made inaccessible by manmade barriers. To answer your question succinctly though, there is no tension between development and conservation in the region, because development is the only consideration. No tension between development and conservation in the region, because development is the only consideration I have not encountered any primary forest growth and possibly even secondary or even tertiary growth in or near Pu’er. Centuries of tree-felling for firewood has seen to that and I am sure the hills of Pu’er have been laid bare on many occasions over that time. Which makes it surprising that there is still the biodiversity of insect life that exists and makes me wonder what it once must have been like. Although it is far from a priority for me to notice, the plethora of exotic bird and plant species that Yunnan is famous for in write-ups, exist here in this city as little more than a whisper. The native mammals disappeared long ago. Unfortunately, this paints a dismal picture of the district’s future with regard to its natural history. Eco tourism will expand in the next two decades, especially to rural wildernesses such as Yunnan. There are already birder trips available online. Do you have any recommendations for people who might want to make a macro trip to Yunnan? This is something I have been asked if I would be involved in on numerous occasions, mostly by other photographers who just want to see what I see. Playing host and guide is something I have seriously considered doing. To be honest though (considering my response to the question on conservation), it would barely be considered an eco-experience considering the state of the ecosystem; rather more of a guided insect hunt. Certainly there will be more genuine eco-experiences available in more remote and less developed regions of the province. I think visitors to China for any reason have to come with an open mind and a real sense for adventure and being out of your comfort zone from food to using the bathroom to how local people respond to just the sight of you. I think one of the reasons the concept is taking a while to take hold in Yunnan is that similar experiences are already catered for in neighbouring Vietnam and Thailand (insects don’t recognize international borders) and these countries are probably more readily accessible than China. For all the focus in macro on kit and software, you’ve shown us that it doesn’t matter what you use, it’s what you get with it that counts. Do you have any advice for the budding macro enthusiast, and do you have any fieldcraft tips – entomology or macro – that you would care to pass on and share? You are right, I am whipping a dead horse with the gear I have and persist with but it is just so comfortable for me. I will maintain that the greatest feature of the Sony DSC-R1 that I use is the flexible LCD screen. I swear I have not put my eye up to the viewfinder in five years. It allows for shots from any angle and considering insects as subjects in the field, the majority of situations do not permit the photographer to be directly behind the camera whether it be down low, up high, at ground level, under an embankment or deep in a thicket of spiny lantana. From an entomological standpoint, I feel you really need to understand what you photographing. I have not put my eye up to the viewfinder in five years I don’t mean being able to specifically identify it on the spot but have expectations of what it does, what it could do and what it won’t do. Keep it natural. I used to collect things and photograph them at home in a lightbox. Great results but not very challenging and even if you do return the subjects back to the exact location you found them, it is almost certainly detrimental to their well-being. Spend time observing behaviours. Territorial butterflies can be very predictable and if you are patient will end up claiming you as your own. Dragonflies and damselflies also can make brilliant subjects if you spend time watching where they prefer to perch and although skittish at first, they will acclimatize to your presence. Many other useful pointers come with practice. Faeces (fresh or old, animal or human (I say human in my circumstance not because I partake in it, but the normalcy of squatting to ablute on Chinese squat toilets means Chinese people have no hesitancy to squat in the bush when the need arises)) are magnets for insects. Wherever you see ants, there will be other arthropods from aphids to butterfly larvae to ant-mimicking spiders. 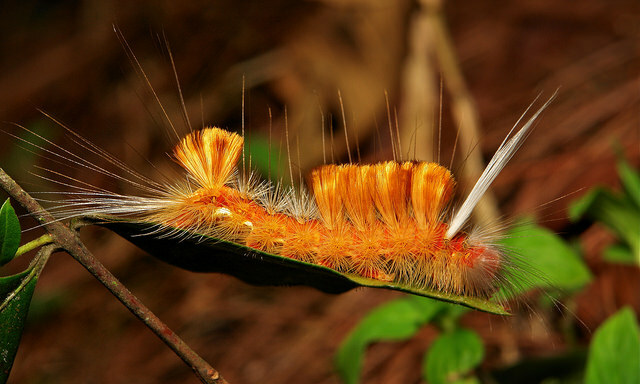 Caterpillars generally reside on the undersides of leaves so be sure to look outwards or upwards from the base of a potential foodplant rather than just directly at it. Photographically, understand depth of field and how it impacts outcomes in macrophotography. The eye (or head) of your subject should always be the point of focus. If you can compose your shot so that as much of the rest of the subject is lit and in focus, the better the outcome will be. Which raises the other two important factors in my mind, lighting & composition. An adjustable, diffused light source which you are controlling (i.e. using manual settings) is essential. The results others achieve with dual flashes astonish me even though a shadowless subject appears “unnatural”. This is an element that I do consider – trying to duplicate the natural appearance of the subject so you can safely say, “that is what it looked like”. I genuinely believe I am at an advantage in this regard with the R1 thanks to the flexibility afforded by the movable LCD screen. This can include how you crop images in processing as well. Side profiles and head-ons are easy with regard to focus and lighting, but an oblique view can be very rewarding, if not more challenging. Try to include some of the surrounds in the image and don’t be afraid to apply the good old rule-of-thirds in your final product at processing time. Wear sunscreen. Wear insect repellent. Don’t touch things you don’t understand. You won’t see much if you are always moving/walking. Inevitably, I find that if you stop to photograph something you have spotted, you will find something else right next to it and so on and so on. An hour later you have crawled on your knees only a few metres sideways and have enough editing lined up to last a week. Writing this article has been an interesting exercise which has been almost as rewarding for me personally as the fabulous photography presented by John Horstman. For the record, I’m hoping to do an article like this every three months or so, looking at people doing interesting things in interesting places. No doubt this is a part of the world that is changing even more rapidly than online research alone can quantify, as the testimony presented by John shows. In the West we’re all familiar with the plight of the rainforest in South America but what of the relatively unpublicised wildernesses left in Asia?! I’d like to thank John for his very generous contribution in terms of his time writing up his responses, and I hope that they maybe of interest to people considering visiting the area or insect photographers generally. I’d also like to thank all the people at Flickr who kindly agreed to let me use their images – they are lucky people to have visited this part of the world. I’d love to. All images are copyright of their respective authors. Thanks for the photos and explanations they are awesome! I suddenly wanted to take my Componon-s 80 kit and jump to a plane which heads to China. 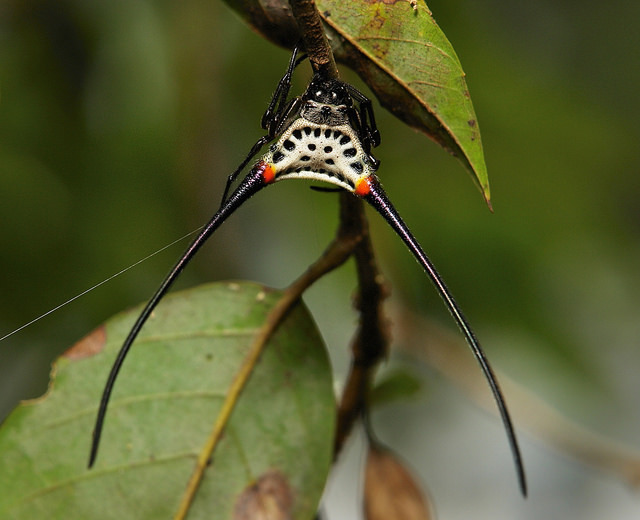 I am extremely jelaus of WHO has a chance to visit Yunnan and take photo of this unique insects and creatures. Very interesting, I'd love to go there just for the insects. With all due respect however, wasps don't make honey . Something must have been lost in the translation. "Honey is also a major cash crop for some of Yunnan’s rural communities, and gathering the honey also has its own age-old traditions. Fresh pork is used to entrap a wasp; the wasp’s leg is then tied with a line and a white chicken feather on the end to see where it flies. The wasp is then released and followed to find the honeycomb." You've misunderstood... a wasp with feather tied on its leg is used just to find the honeycomb (because certain wasps predate bees & beehives). I'll tweak it to make it clearer. This actually really struck a chord with me, because I'd seen exactly the same idea in an Attenborough documentary about Africa I think, using a predatory wasp to find a beehive. To clarify, the location of the bee colony being unknown means that it is a wild one, with comb open to the air. The people collecting the honey will have to break off chunks of comb. Even in the Western World, when honey bees are in wooden hives, wasps can rob out the colony of honey, this time the wasps are the common social type of the genus Vespula.